This beautiful jade necklace has some cloisonee beads to accompany the jade, with matching green strip going across the silver. 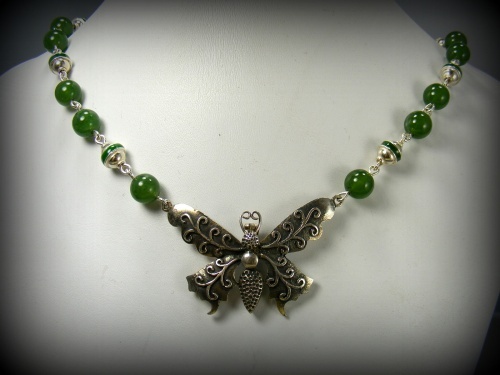 The focal is a sterling silver butterfly whose wings move back and forth. This is so pretty and so unique. Piece measures 18".